Asia looks to Russia to meet its growing defense needs. 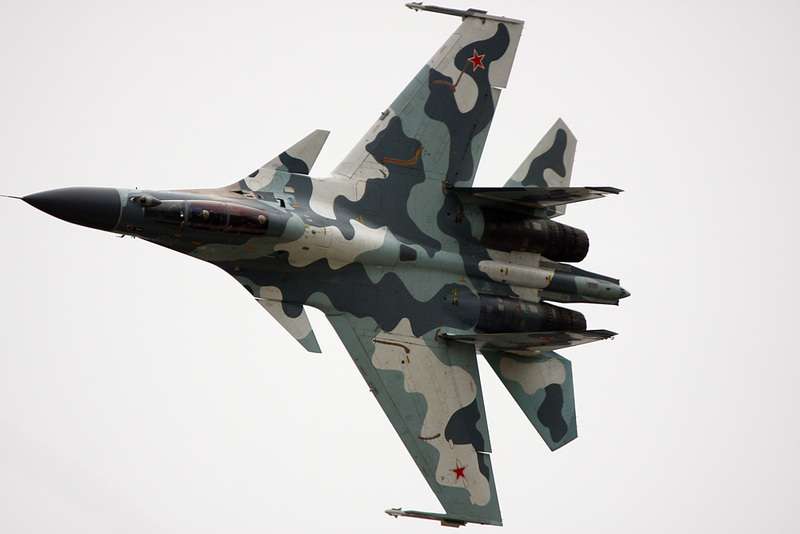 Sukhoi warplanes to Indonesia and Malaysia and submarines and lethal anti-ship missiles to Vietnam are the most visible aspects of Moscow’s growing defense engagement with members of the Southeast Asian grouping. As defense spending by the ASEAN countries has soared, Russian arms manufacturers have moved focus to cash in on the new opportunities. Western observers tend to have a dim view of Russia as a serious player in Southeast Asia. They are making a big mistake. Historically, Russia’s economic and political engagement with the region was low, but lately Moscow has been taking the defense route to ramp up ties with ASEAN countries. Defense deals have the potential to transform into military cooperation and bring countries together in a geostrategic embrace. Keeping that in mind, Russia is supplying the world’s most advanced weaponry to countries in the region. Sukhoi warplanes to Indonesia and Malaysia and submarines and lethal anti-ship missiles to Vietnam are the most visible aspects of Moscow’s growing defense engagement with the ASEAN. In 1997, Russia achieved a major breakthrough when it sold Igla manportable missiles to Singapore, a close ally of the US. Moscow notched up its first military deal in Thailand with Mi-17 transport helicopters and is currently in talks tosupplyT-90 tanks. As defense spending by the ASEAN countries has soared, Russian arms manufacturers have moved focus to cash in on the new opportunities. It helps that Russian weapon systems have a solid reputation for being effective where it matters – on the battlefield. Plus they are cheaper than their western analogues. The stellar role played by Russian jet fighters, missiles, warships and air-defense systems in defeating terror groups in Syria will no doubt spur further interest in these systems in the years to come. ASEAN is a group of 10 comparatively small countries that live under the shadow of Chinese military power. Through a mix of military posturing and aggressive diplomacy, China is trying to bring these countries to the negotiating table. But as Beijing holds all the aces, any solution reached at this time will only favor China. Regional observers have, therefore, called for a well-armed ASEAN with support from powerful countries such as Russia to guarantee the region’s security. Raising the costs for Beijing would considerably lower the threat of Chinese aggression. Countries that were allied with the West during the Cold War are now openly palling around with Russia. The strong rule provided by President Vladimir Putin is a factor in Russia’s newfound popularity among Asians who value stability and security over the chaotic democracy of the West. Russian Foreign Minister Sergei Lavrov commented on this convergence of views at a regional forum in 2010. “The ASEAN countries highly appreciate Russia’s role in the Asia-Pacific, as they regard our country as a factor of strategic stability and sustainable economic development,” he said.